Well, why not get a job? You could look at something with fewer hours in your former line of work. Or maybe even try something new that will open you to novel experiences and opportunities to meet new people. In Michigan, there are tons of companies and nonprofits that can benefit from your experience and wisdom. Here are five that might just be exactly what you’re looking for. If you love being on the road, seeing new places and meeting fun people, driving a motorcoach is the perfect job for you. Even if you have never driven a bus before, reputable bus companies will provide training in all areas from actual driving to bus care, customer care, and more. You will need to obtain a commercial driver’s license, have a spotless driving record, and have a clean bill of health to be considered. Charter bus drivers working with solid companies can drive on overnight trips, stay in nice hotels, and receive meal stipends in addition to their wages. In addition to long trips, assignments are available for charters, scheduled routes and shuttles that allow you to be home every night. Whether you want to be on the road or at home every night, motorcoach driving has a lot of options. Michigan has about 90 colleges and universities, many with Greek life and housing. If you live in one of the many college towns, keep an eye on local ads, especially the college’s newspaper. Resident advisor positions usually require living onsite in a free, private apartment, so this job is perfect for those who do not own their own home. Job responsibilities generally include providing guidance to residents about living in a safe and respectful way, conducting regular inspections, and reporting structural and appliance repairs. Most resident advisor positions do not require that you perform repairs, collect rent, or oversee fraternity or sorority social functions. As baby boomers age, more and more require extra help managing life in their homes. If you have always wanted to give back, here’s the perfect chance. A care companion’s job duties can include helping to bathe and dress, preparing meals, doing laundry, dusting and vacuuming, giving rides to appointments, and shopping. If you have a medical background, you may also be able to provide a higher level of care to the bedridden or physically or mentally compromised. Different elder-care companies specialize in specific areas so keep looking until you find one that fits your desires and capabilities. Another great service job is assisting families and parents with becoming solid and safe together. Many parents are overwhelmed or inexperienced and just need support from someone who has been a parent themselves and appreciates the challenges. The job may also include providing supervision (as needed) during parent/child time together. 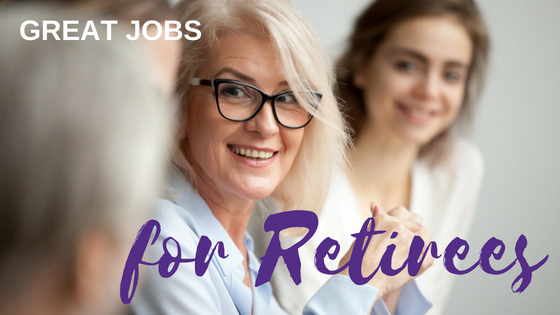 These jobs are often through larger social service agencies and organizations in your county or region, although some home care businesses also need this kind of assistance. You’ve never touched a cash register in your life or tried your hand at merchandising, but if you want a fun and interesting job, try retail sales. If you have expertise in a particular area, like hockey or fishing, look to your local sporting goods stores. Maybe you love to cook, so a kitchen and culinary boutique would be natural for you to gravitate toward. If tinkering with cars is a hobby, then an auto parts outlet would be perfect. There is no shortage of stores and businesses looking to hire cheerful and knowledgeable people to serve their clients, so why not give it a try? What do you have to lose? You’re already retired! Indian Trails is always looking for great people who want to work with the best coworkers and serve the best customers. Find out more about positions at Indian Trails today and download our guide, Explore Charter Bus Driver Jobs, for an in-depth look.